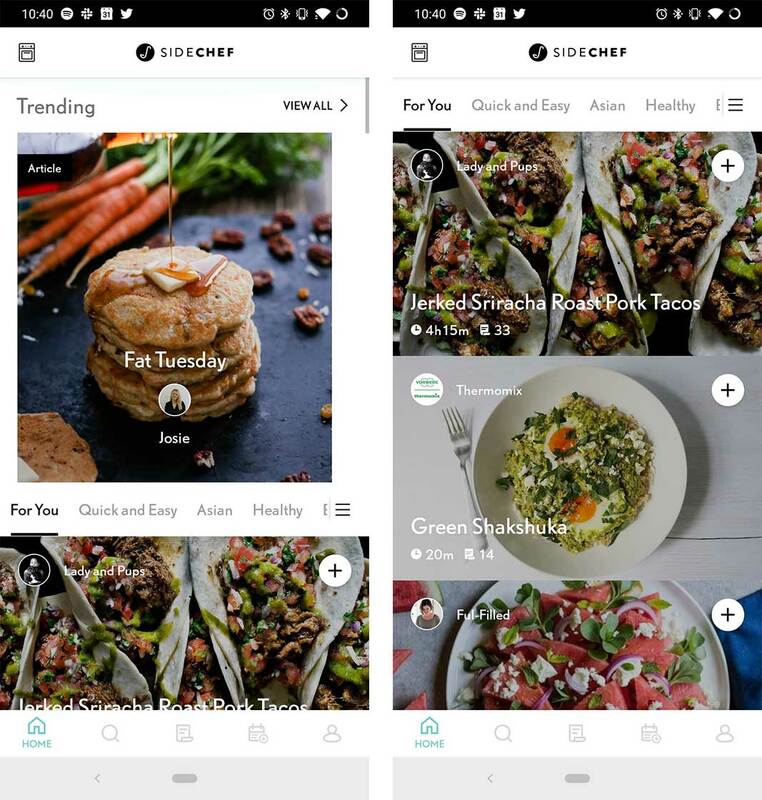 SideChef is a mobile app that is a combination of a cookbook, shopping list and meal planner all in one. The app even connects to some LG smart ovens, but it’s core three pillars are the things mentioned above. There are five sections of SideChef, starting with the ‘Home’ page. The Home page presents you with recipes and food stories. At the top, there’s a ‘Trending’ section filled with food-related articles and cooking directions. Below this, is a list of recipes based off of the foods and meal type choices you selected during set up. You can read/use each set of cooking directions in two ways. First off, there’s the traditional way, where you read the recipe. Beyond that, SideChef has a ‘Step-by-Step Mode’ which reads the steps out loud to the cook as they’re making the meal. When you tap on the checkmark in the bottom right of the screen you move onto the next step. Tapping anywhere on the screen opens the list of ingredients and gives users quick access to their camera. There’s also a plus icon placed in a couple of places within each recipe. Hitting it lets users add that recipe to a personal cookbook or meal plan. 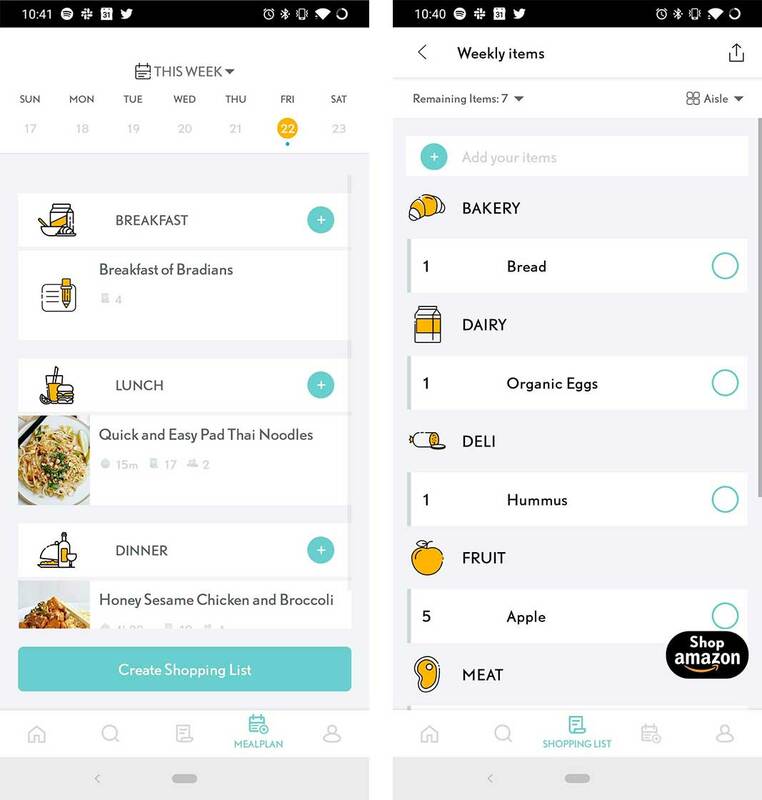 The ‘Mealplan’ section lets you set up a specific meal plan for their breakfast, lunch and dinner. There are a few ways to add food to a meal plan. You can add a recipe that’s already inside of SideChef, or you can add your own recipes. Adding your own recipes works ok, but it doesn’t let you go into a considerable amount of detail. You can only name the recipe and add ingredients. Still, it’s helpful to throw in what you eat for breakfast for example to keep your meals planned out. 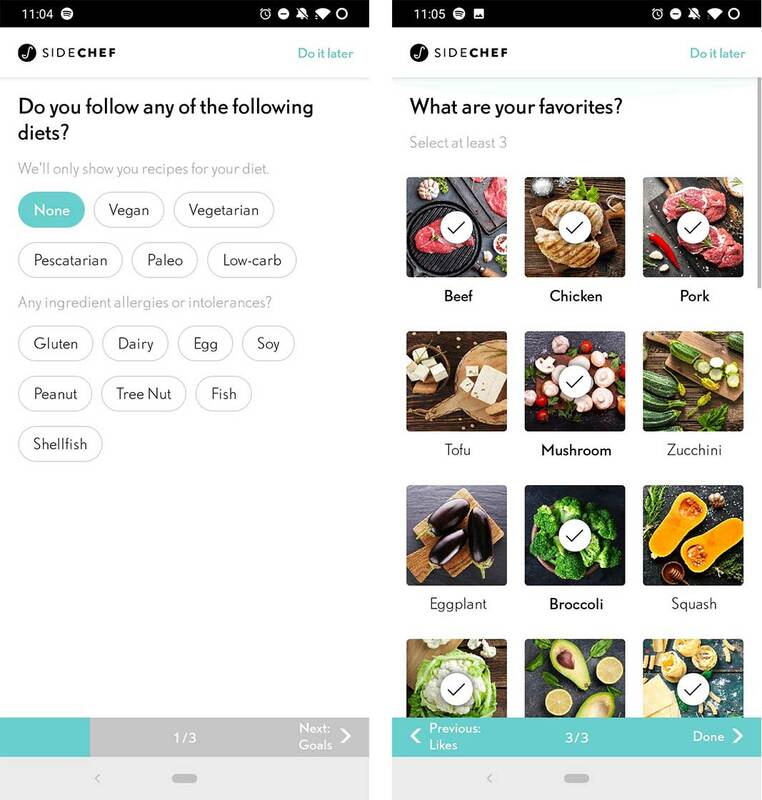 On the ‘Profile’ section of the app is where you can save recipes into ‘Cookbooks.’ This is another pretty handy feature since it makes going back and searching through the meals that piqued your interest much easier. For example, I’ve made two cookbooks so far, one for lunch ideas, and another for healthy or different meals that I could make for dinner once a week or so. Finally, there’s the ‘Shopping List’ portion of SideChef. You can make as many lists as you want, but I’ve found that it doesn’t let you type in every food as plain text, but rather restricts you to food and grocery items it’s pre-loaded into the app. This is pretty limiting, but I’ve found with a little creativity you can add most things, or at least similar things to jog your memory in the grocery store later. 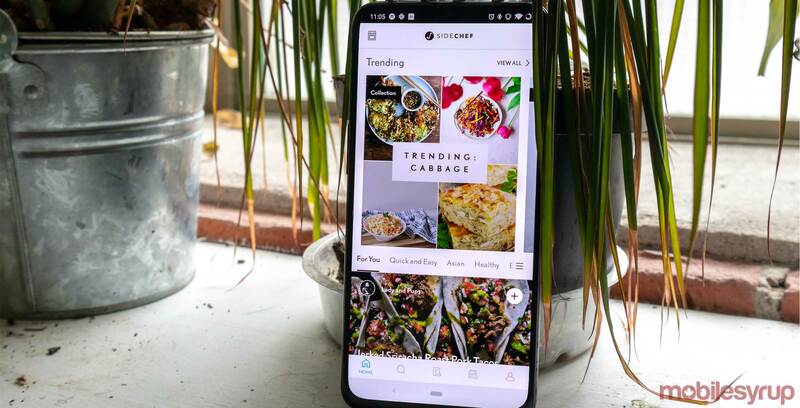 SideChef does note that users can email ‘support@sidechef.com’ with things they’d like added to the grocery list and the company will do its best to add them. It does this since it integrates with Amazon Fresh so it can only order things from Amazon’s service, which isn’t available in Canada. Still, I liked using the SideChef grocery list since it was an excuse to go into the app, and I’d often find myself stumbling across recipes that I’d save for later. Overall, I really like this app even though it’s a little more work than writing down a grocery list and finding recipes online. Its highly structured approach helps keep me on track to make myself food all week instead of going out, which is ultimately worth it in the end. You can download SideChef for free on iOS and Android.